In further proof that Northern Ireland’s ‘Troubles’ really are consigned to the history books, the notorious Maze prison near Belfast is to be transformed into a new development that will create up to 5000 new jobs. Uniting the old Irish scars of paramilitarism with the more recent scars of ambitious property development, the prison that once housed the most dedicated loyalist and republican fighters is to be radically transformed. 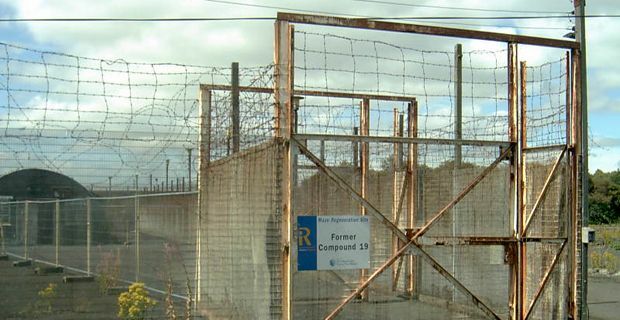 The Maze/Long Kesh Development Corporation has promised 5000 permanent jobs – a figure that does sound slightly rose tinted as well as a £300m investment. The initial reconstruction phase will see the recruitment of 2000 workers. The 5,000 jobs the company claims it will create will be in construction, in the running of the Royal Ulster Agricultural Society's new headquarters, the museum on the site and the ongoing maintenance of the former prison. Plans to build a ‘peace centre’ on the site have come under fire from Unionists who fear the site turning into an ‘IRA shrine’. The ongoing existence of the prison hospital where 10 IRA and Irish National Liberation Army hunger strikers died in 1981 seems to be causing the most controversy, although Sinn Fein insist that the centre will provide a balanced perspective on the Maze’s role in the Troubles. Terence Brannigan, chairman of the Maze/Long Kesh Development Corporation, said: "We have already had significant international interest shown in developing the site and we anticipate that global investors will be excited about what is an unprecedented development opportunity. "For the people of Northern Ireland, in these very difficult times, it is an opportunity we simply cannot afford to ignore." Brannigan added: "Since the corporation's establishment only seven months ago, we have created real momentum. It is already the region's largest construction site, having nine local construction companies and 24 material suppliers working there. Before the end of the year we will cut the sod on the new PbCRC (Peace building and Conflict Resolution Centre) and provide work for a further 70 construction workers. "Our vision, from Peace to Prosperity, is intended to demonstrate how economic development can help consolidate and build upon our peace. We will promote the PbCRC, with its unique Belfast to New York design collaboration, as a showcase to attract international developers and investors. From the interest already shown, I am confident that we will have in place £100m investment by 2016." Brannigan went on to say: "I am acutely conscious of the sensitivity of this site, but Maze/Long Kesh is already changing. In a couple of weeks we will welcome the Balmoral show to Maze/Long Kesh. The show is a new chapter in the long and varied history of this site and a new phase for the Royal Ulster Agricultural Society."